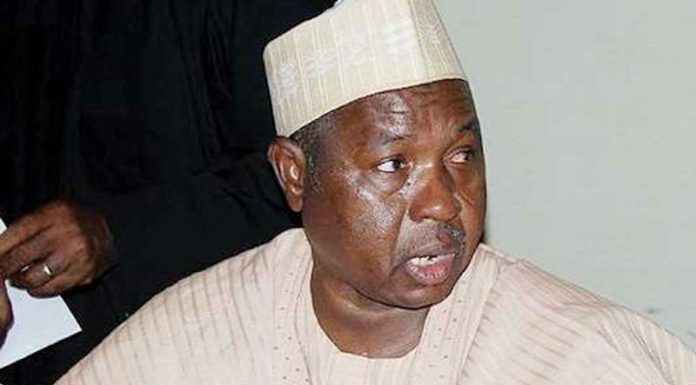 Following the recent killings of some soldiers in Borno State by Boko Haram insurgents, the Katsina State Governor Aminu Bello Masari Monday urged the Armed Forces not to compromise standards and shun primordial sentiments while discharging their legitimate duty of protecting lives and property of the citizenry across the country. Governor Masari, who was speaking when he received in audience students of the Armed Forces Command and Staff College, Senior Course 41, Jaji, Kaduna State, who were in Katsina on a study tour, said the services rendered by the Armed Forces is the highest anybody can provide for his motherland, hence the need for them to avoid sentiments. According to him, â€œI am sure you were trained to render service that is above primordial sentiments of where I come from, what is my tribe, my geographical location, my religion. You must work very hard to safeguard your territory. This territory is what I have mentioned because we politicians will always play politics. He, however, condoled with the Nigerian Army and the Armed Forces in general over the loss of soldiers he numbered as 44 in Borno State, admonishing security personnel not to be deterred by the killing but work towards protecting the sovereignty and integrity of the country. While describing Katsina as a centre of learning, Masari said the state would avail the students with the needed materials that will enable them to accomplish their research work tagged â€œNigeria Educational System and National Development, a Case Study of Katsinaâ€. Earlier, the Leader of the Team, Brig-Gen. O.R. Aiyenigba, informed his host that the Course 41 students were in the state on study tour in order to carry out a research work on â€œNigeria Educational System and National Developmentâ€ and commended the governor for hosting them.